*EDIT: I have updated and improved this project. For the updated version with FREE building plans, click here. Most of you know that I have twin boys. Well, this year they started the big "K". Yep, Kindergarten. After the first day of school, I knew we were going to need some sort of organization. We needed some place to hang up backpacks, and a place to sort the dozens of papers they were bringing home. 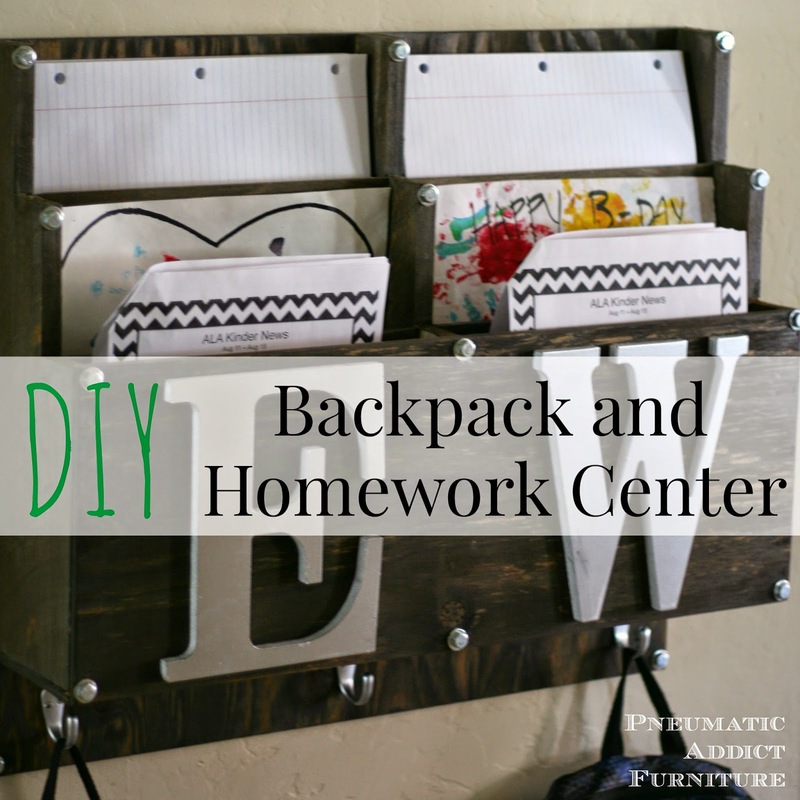 I came up with a plan for a DIY backpack and homework center using only one, six foot fence board, one quarter-sheet of plywood, and a 4-foot hobby board. Quarter-sheets of plywood are nice because you don't have to pay for a full sheet of plywood and they can fit in the back of a small car. You are going to need to rip the board down into smaller sizes. If you have access to a table saw, use it. If not, a circular saw works too. Here is the cut diagram. 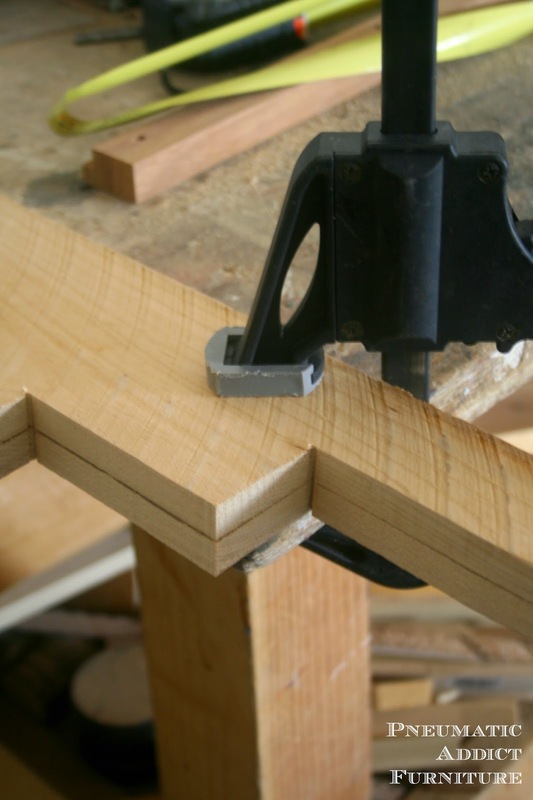 There isn't a lot of scrap, so you will need to place your cuts strategically. After ripping down your plywood, you will need to cut down the fence board. Cut 3 pieces, at 16.5". Now on one end of each board, using a pencil, measuring tape, and a speed square, draw 2 lines, 1-13/16" apart. I know, that's a crazy specific width, but its exactly 1/3 of the board. In the first section, measure 4" down and make a horizontal line. In the next section, measure another 4" down and mark. And in the last section, measure 4" down and mark. Use the jigsaw to cut along the lines. 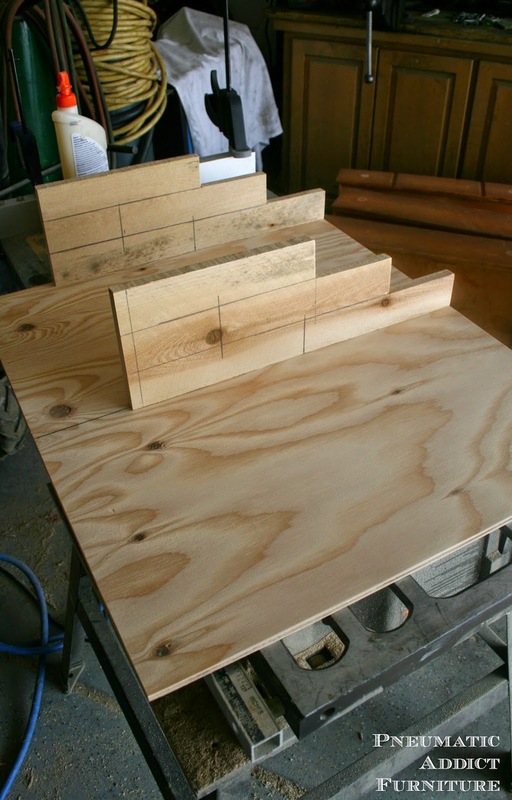 Quick tip: To save time, you can clamp multiple boards together and cut them at the same time. Now, you will want to make some reference marks. 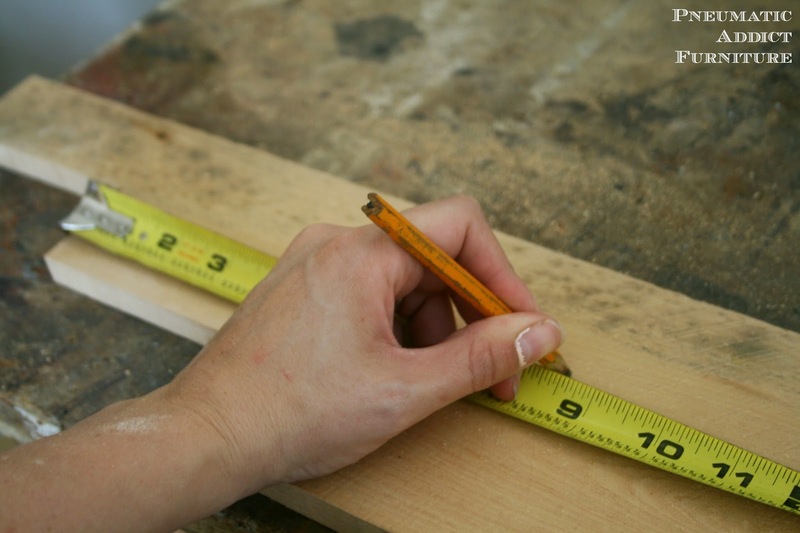 Measure 8" from the top of each section, and draw a horizontal line. Then, draw a vertical line, dividing each section. It should look like this when you're done. 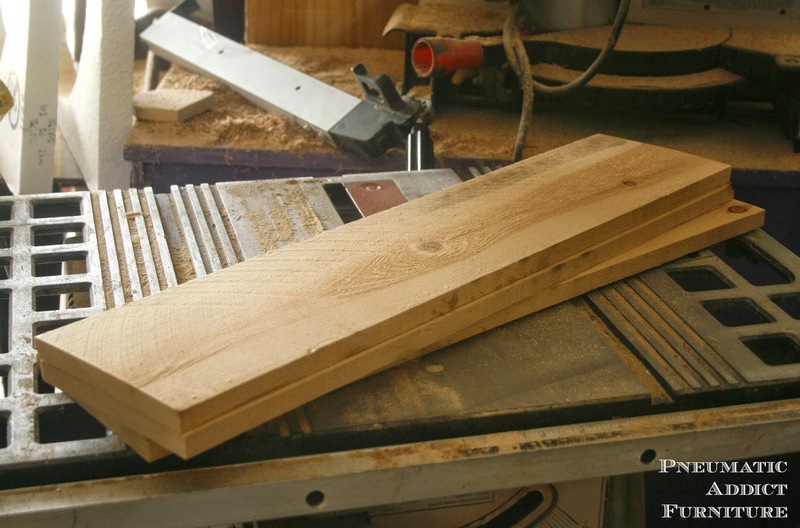 Next, find and mark the center of your large piece of plywood. It is 24" wide, so center should be at 12". Using your speed square, draw line. 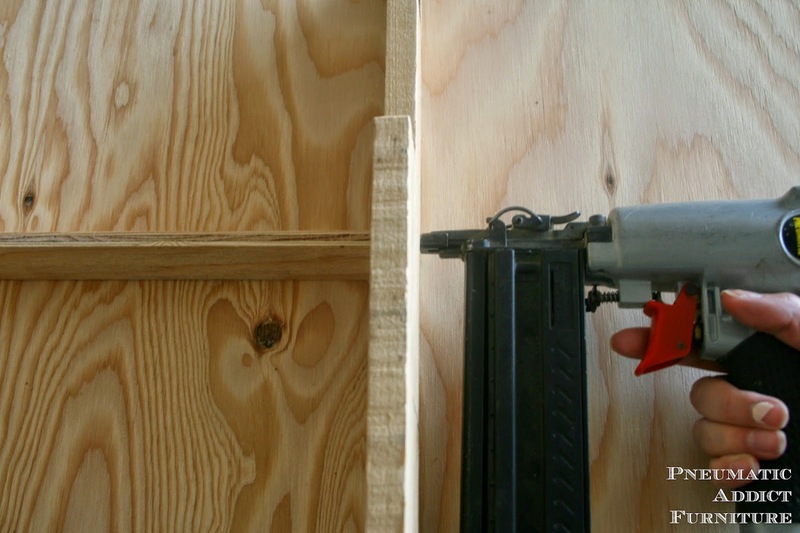 Attach the first two dividers to the plywood using wood glue, and finish nails through the back. Attach just the first two. Trust me. Now, you need to cut the two, 1- 7/8" strips down. 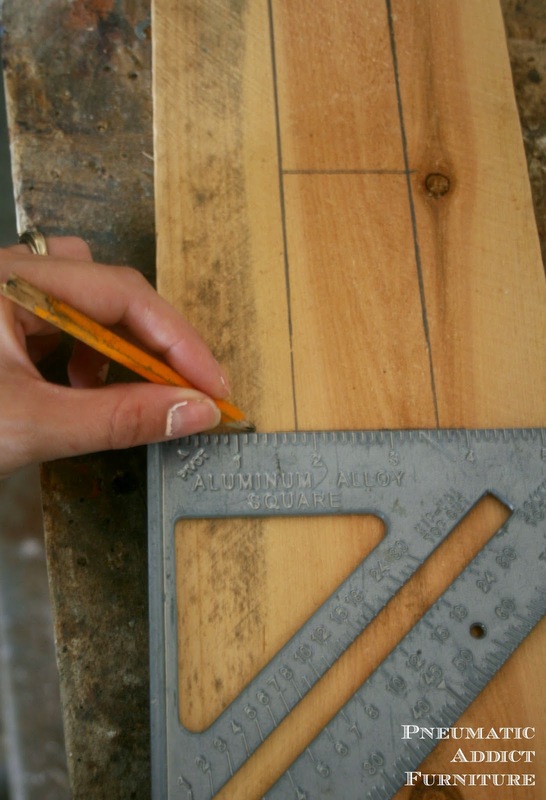 Measure the distance between the dividing boards and cut two to that length. Once you add the last dividing board, you will repeat this step. 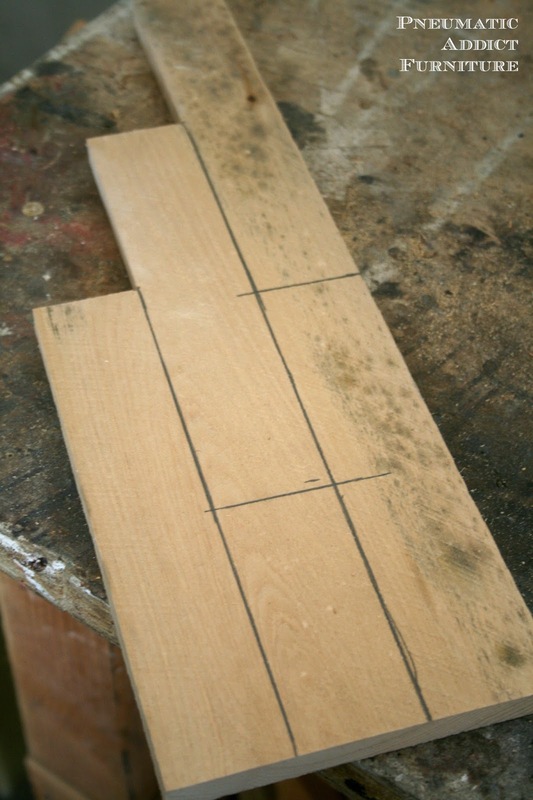 Place the strip of plywood on end, and lined up with your markings. 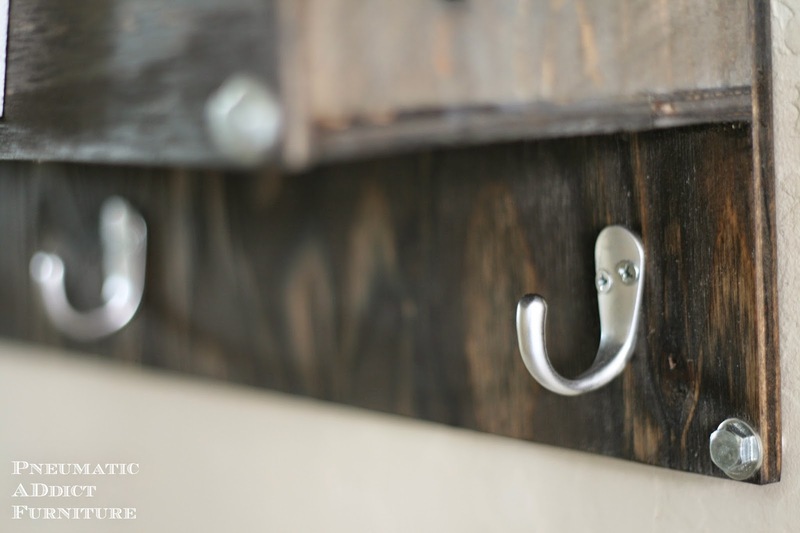 Secure with glue and finish nails. Add the second strip, aligned with the marking in the center section. 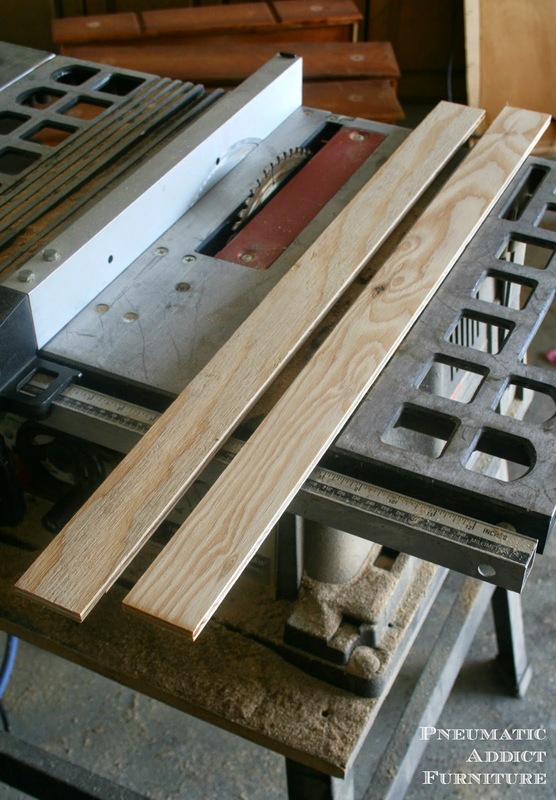 Now, cut one of the 4-7/8" strips into two pieces, the same length as the smaller strips. 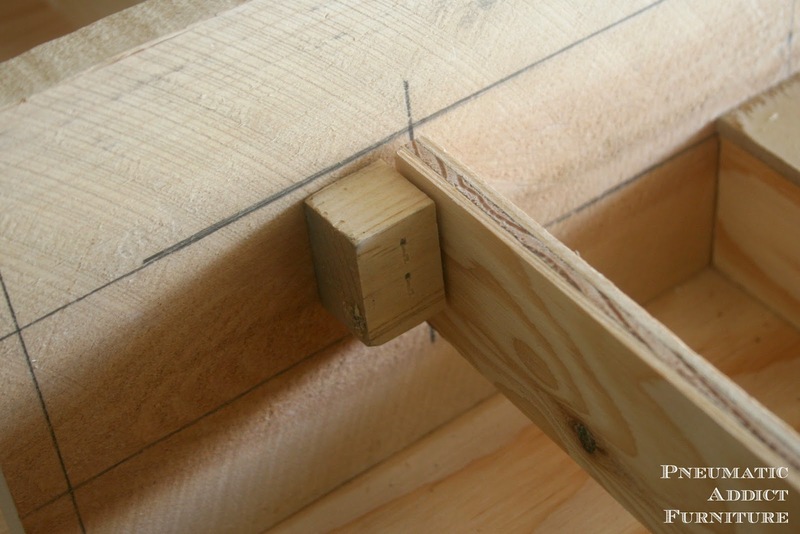 Lay a board perpendicular,on top of the smaller strips and secure with glue and nails. Repeat with another board on top of the second strip. When you're done, it will look like this. 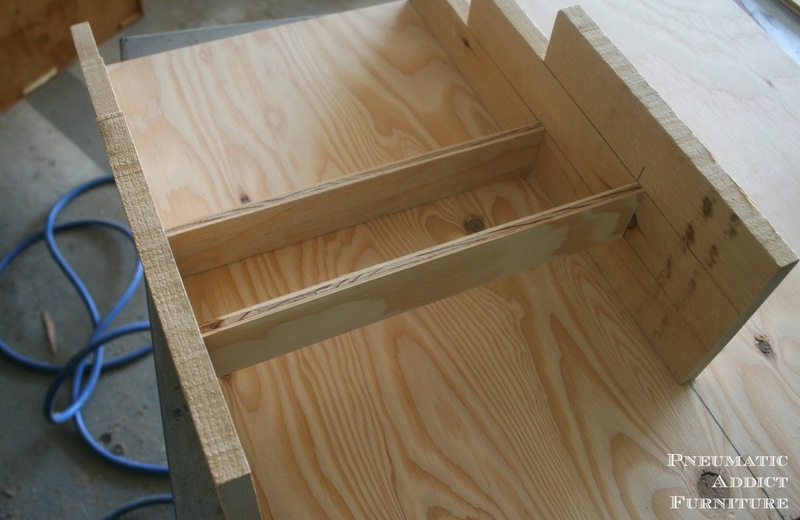 Add the last dividing board to the other side, and repeat the same steps, adding plywood strips and boards. 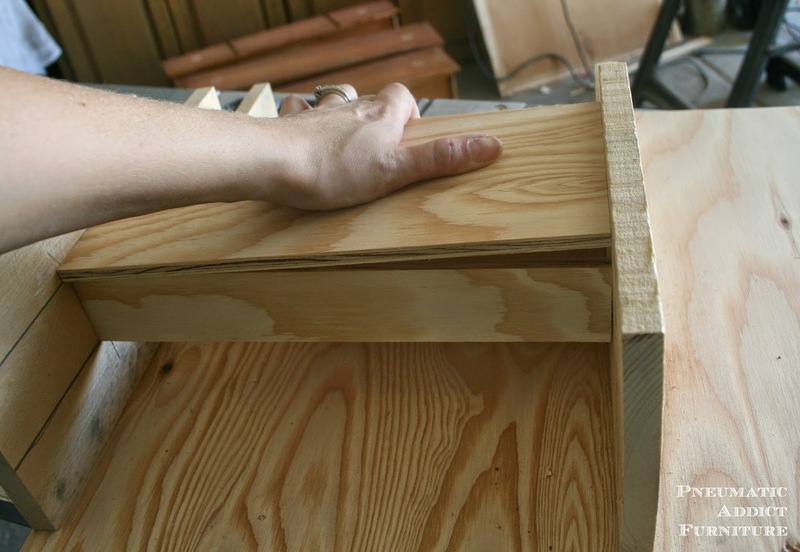 Since you won't be able to nail one end of the strips, you can nail from the back of your plywood base, for the first strip. 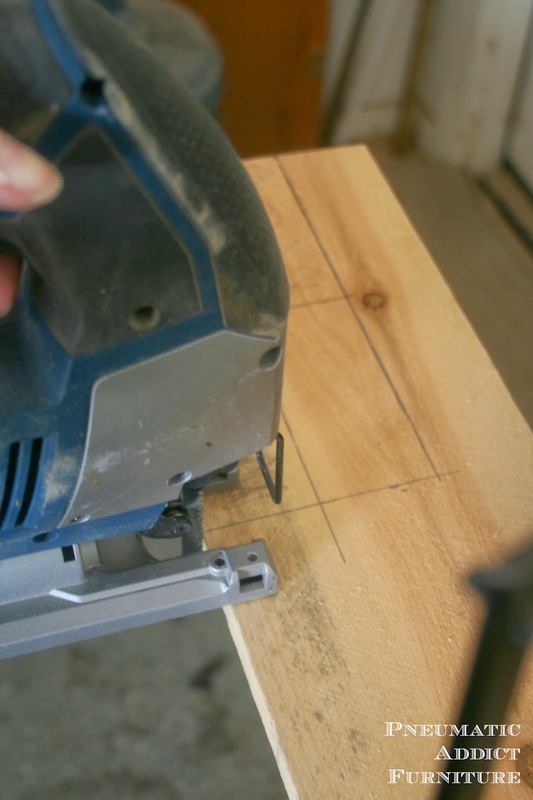 For the second strip, you will need to cut a small block of scrap wood, nail it to the center dividing board, and nail the strip to the top of it. Time to attach the bottom board. In the photo, I show using another piece of plywood. I happened to have some scrap laying around that worked, but if you don't, use the hobby board I mentioned in the materials list. 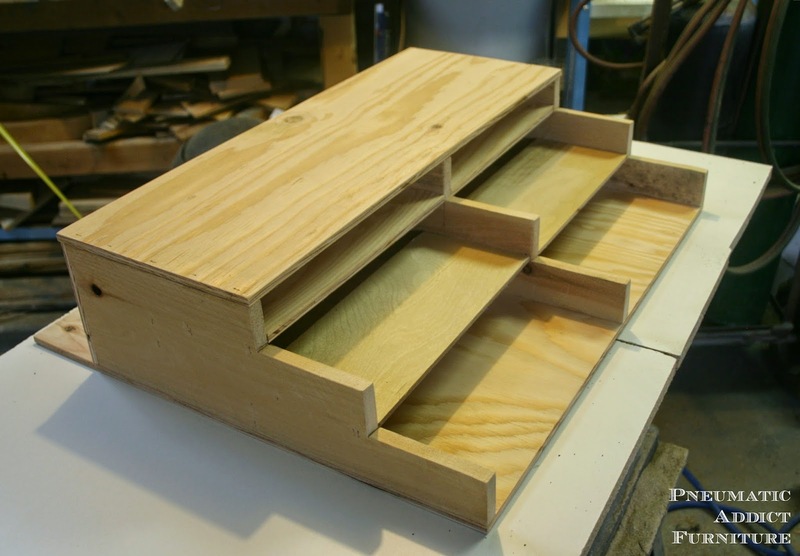 Hobby boards are found in a small rack in the lumber section at Home Depot. Try to find the same species of wood as your plywood. If you don't know the species, its probably pine. 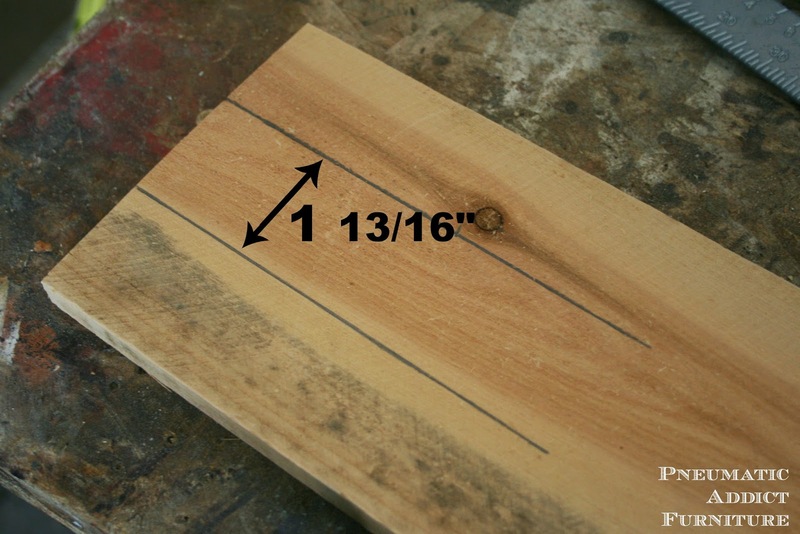 Just like lumber, the actual width and "nominal width" are different. 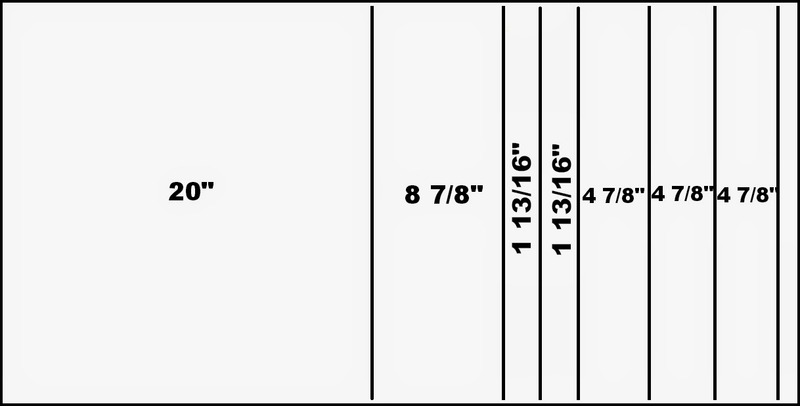 A "6-inch" hobby board is actually 5.5" wide just like a 2 x 6. 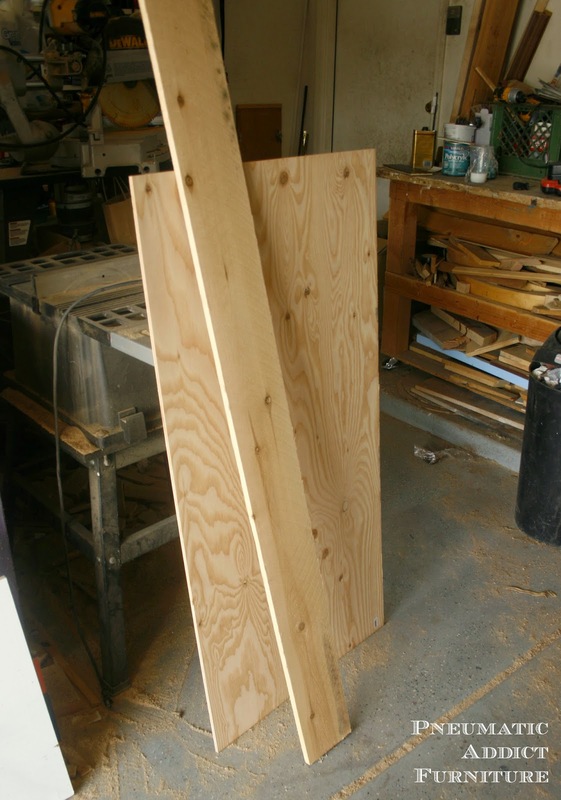 Since the bottom board is already the correct width, you just need to cut it down to 24" in length, and attach it to the bottom of the divider boards, using glue and finish nails. 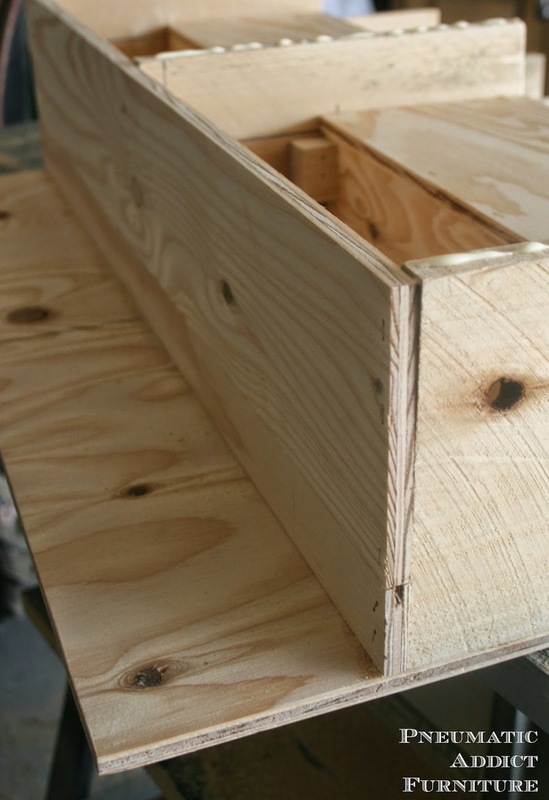 The last step in the building process is to add the front piece of plywood. 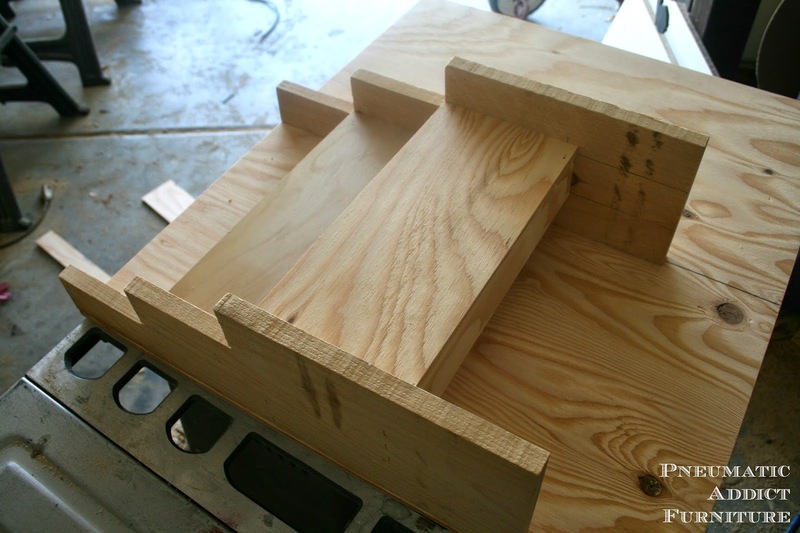 Find the 8-7/8" wide piece, and attach it to the front with more glue and nails. That's it! Now, you can make it pretty. I stained mine with homemade oxidizing solution, and sealed it with clear, matte lacquer. 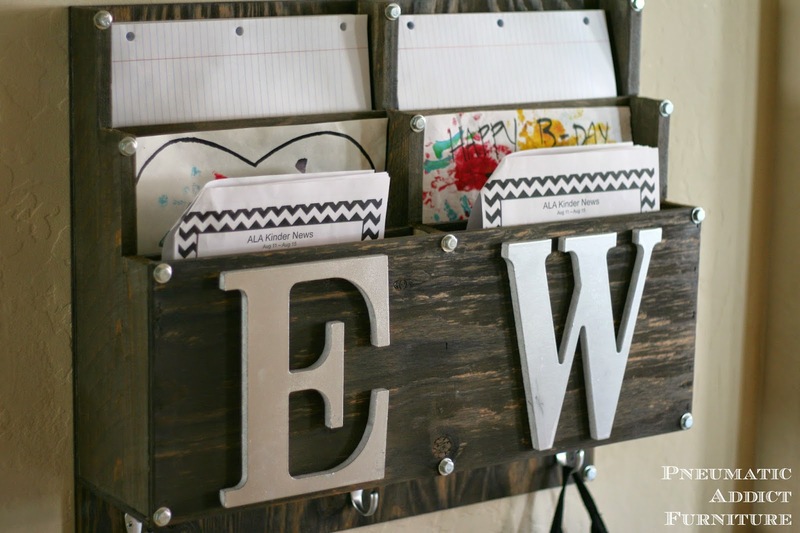 If you have spent any time on this blog, you know that I love anything "vintage industrial". So, to jazz my backpack and homework center up a bit, I added 1/4" lag screws and washers to each corner. They are purely decorative, so you can skip this step if its not your jam. I thought a minute about using label holders to mark each cubby. While I love me a good label holder, I'm scared that I'm starting an addiction to them. 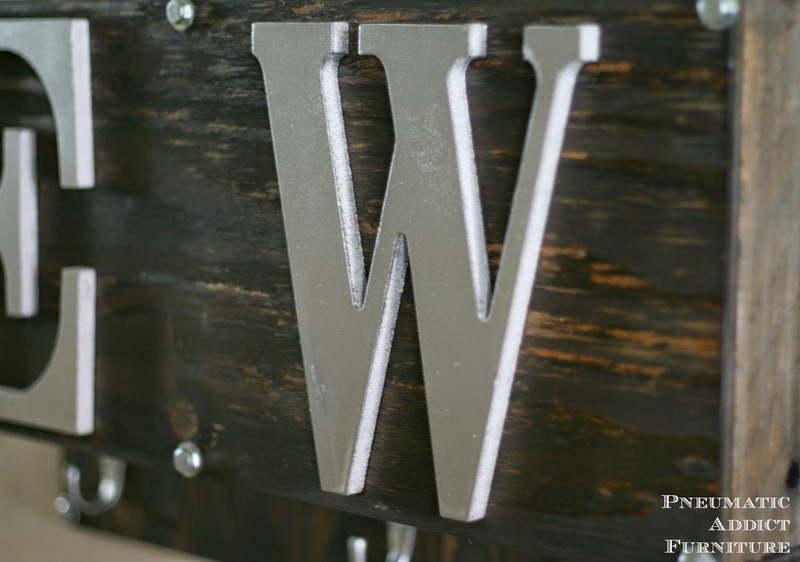 Instead, I found 8" tall, MDF letters in the craft section at Wal-Mart, sprayed them silver (spray painting MDF can be a challenge. I have tip that I'll share in a later post), and added them to the front, using wood glue. To solve the backpack problem, I added some single coat hooks to the bottom, vertical section of the organizer. I used 3, one for each backpack, and one for something else. 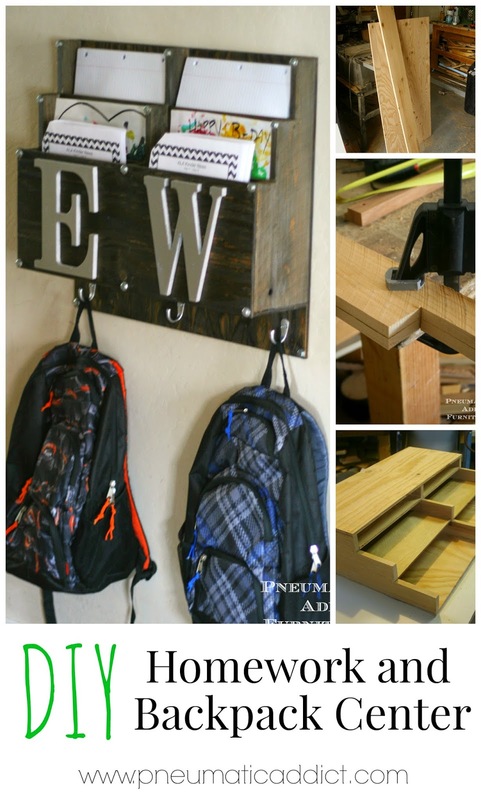 As I've thought about it, I think I'll add one more, that way my boys each have a hook for their backpack and one to hang a coat in the winter. I found a small hallway, close to the garage door that was perfect to hang it. Since it's only 24" wide, it doesn't need a large space. I added it to the wall, using more 1/4" lag screws in each corner. Interior wall studs are usually 24", center to center, so this means, in theory, that you can screw all 4 corners into a stud. This is total over-kill. 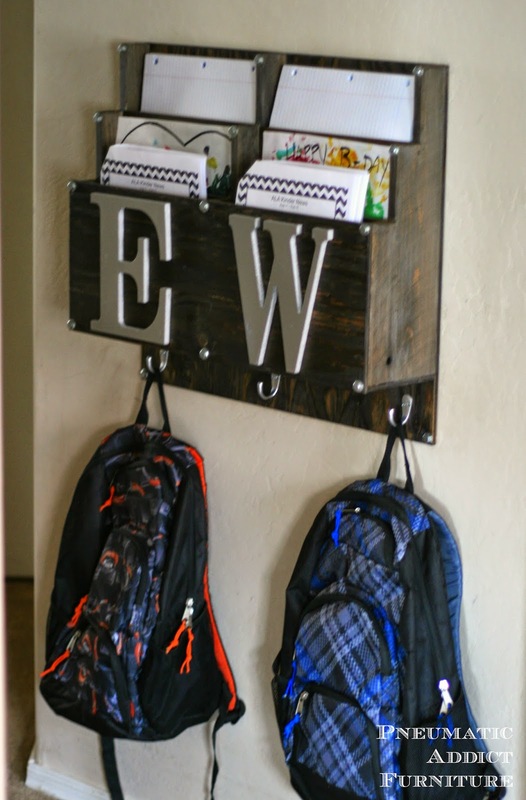 Unless your kids bring home gold bricks in their backpacks, normal wood screws and drywall anchors should be sufficient. 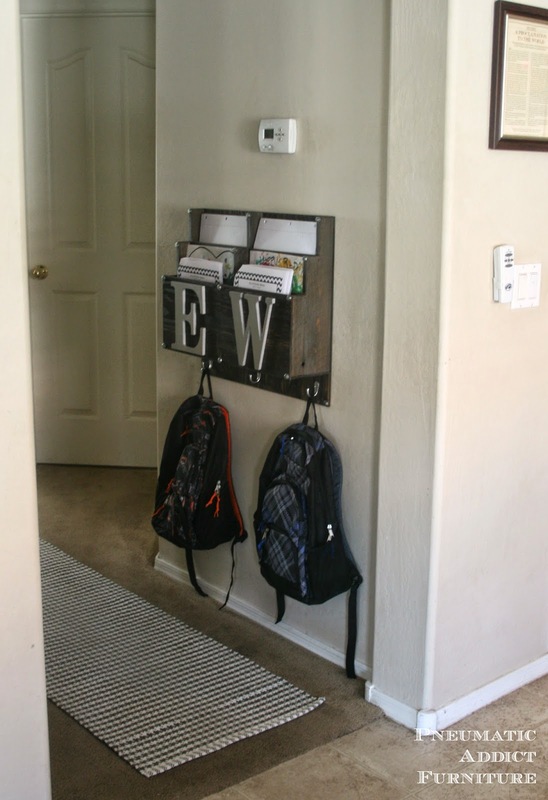 Each kid has 3 cubbies to sort homework and other papers. 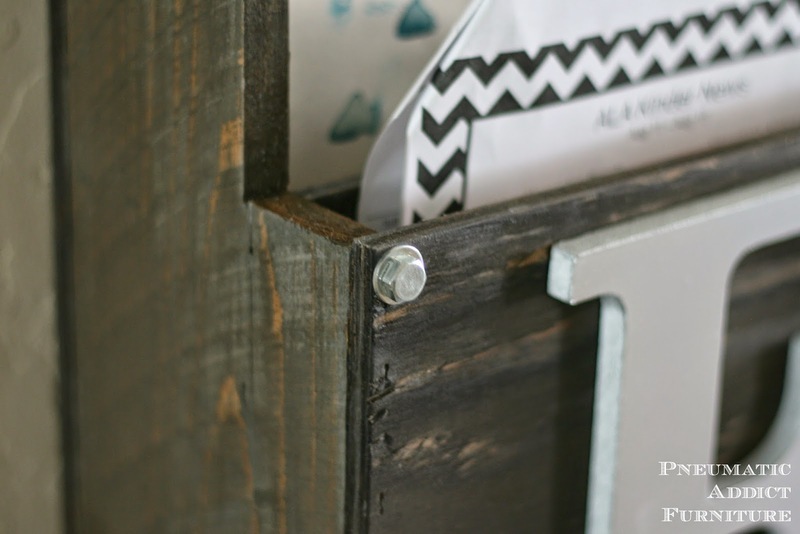 Each slot should fit a 8.5" x 11" paper, both horizontally and vertically. The top 2 slots are not as deep, so I chose to place those papers on their sides. Works great! I asked my husband about adding a pencil cup to the side, just for easy access. He thinks it is't necessary, but I might go ahead and add it anyways. What do you guys think? You are going to LOVE this! It is perfect and l love the look. I almost laughed out loud when you said bricks in the backpack, because that is exactly how my older boys back packs feel....sooooo heavy. I would need every single stud, but that won't happen until middle school, you are good for awhile! Pinned! 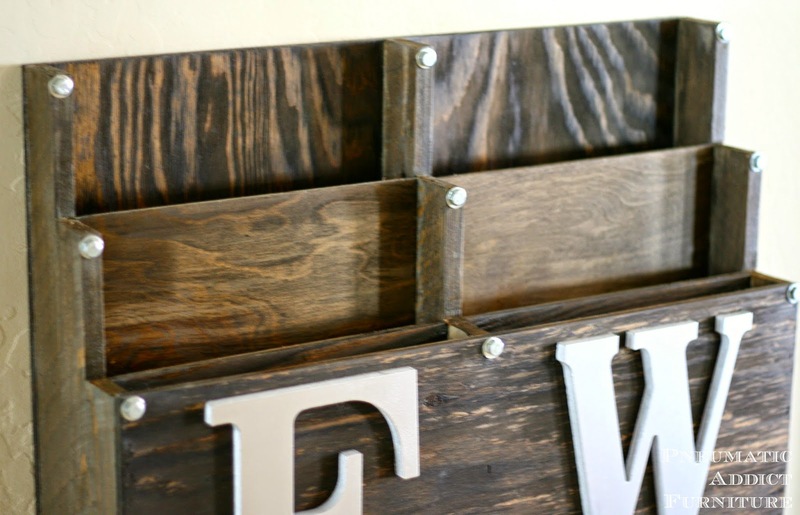 This is a beautiful project and you always have the BEST step by step detailed build plans! Love it! This is such a great project and an awesome build! Way to go girl! !